As a parent, you will no doubt want to make sure that your child is safe whenever they undertake any type of activity without your supervision. British Cycling’s Go-Ride Clubmark Accreditation supports the development and recognition of quality junior clubs. As part of the programme, clubs must ensure they have a Club Welfare Officer, who has attended a Child Protection Course. Go-Ride sessions are delivered by British Cycling qualified coaches, who have also attended courses on Child Protection, Equity, and hold a current First Aid certificate. The Go-Ride programme of cycling activities promotes good health and includes fun activities that are easy to learn. As obesity levels in young people rise, cycling can be seen as a very enjoyable way of getting exercise and countering a sedentary lifestyle. All Go-Ride clubs have a commitment to ongoing training for their volunteers, coaches and officials, to have a sound structure, to be fair and equitable and to undertake training to support British Cycling’s Policies and Guidelines for child protection and best practice. All coaching sessions are risk assessed and clubs take relevant actions to reduce any possible risks. As such, clubs do everything in their power to provide a safe environment in which your child can cycle. Cycling, however, does have its risks and even the best riders still fall off occasionally. What qualifications do British Cycling Coaches have? All coaches in Go-Ride clubs must be British Cycling qualified coaches. All British Cycling coaching awards include sports coach UK’s ‘Safeguarding and Protecting Children’ workshop, which helps to ensure that Go-Ride clubs are safe and welcoming environments for young people of all backgrounds. Coaches are also encouraged to broaden their knowledge to suit their particular requirements, for example, attending the sports coach UK workshop ‘How to Coach Disabled People in Sport’. 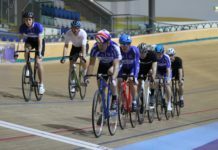 British Cycling has a Coach Licensing Scheme that requires all qualified coaches to retain annual membership and hold a valid First Aid certificate.